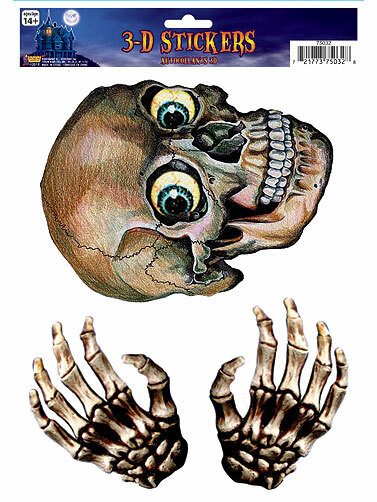 This 3D Skull & Hands Window Sticker clings to windows and glass without the use of adhesives. Vibrant images with a three dimensional look. Place one on a car window, on the house or on a mirror for a scary skeleton and hands decoration that is perfect for Halloween. 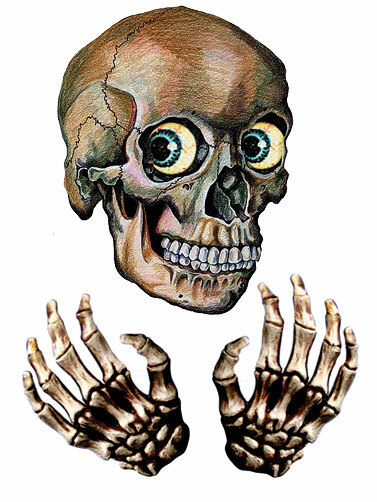 3D Skull & Hands Window Sticker measures Skull: 6.5"H x 5"W, Hands: 4.5"H x 3"W.